The Proposed Peak Hours Augmentation Bus Services (PHABS) for Mintal and Cabantian areas may still take time due to a lack of city-type buses. Lawyer Tristan Dwight Domingo, assistant city administrator, said the City Hall request to field PHABS in Mintal and Cabantian areas has been pending before the national office of the Land Transportation Franchising and Regulatory Board (LTFRB). “They (LTFRB) recommend city-type buses but we found out that there are only limited bus companies with such type of buses,” Domingo said. He said the government is still studying if it can allow the use of provincial-type buses for these new routes. Domingo also clarified that there is no such order from City Hall to stop the implementation of existing PHABS operation in Toril and Catalunan Grande areas amid the end of the school year. “We will study if the high demand of passengers will prevail,” Domingo said adding that they will cease temporarily the operation of PHABS if there is no need for the bus this summer. 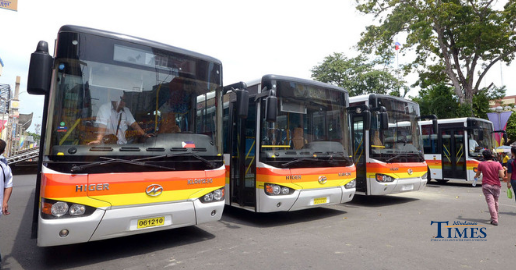 The city deployed the buses to augment the lack of public transportation during peak hours. Domingo said the routes where PHABS currently ply will also be the focus of the implementation of the High Priority Bus System (HPBS) soon. The HPBS is the plan in modernizing the transport system in the city.